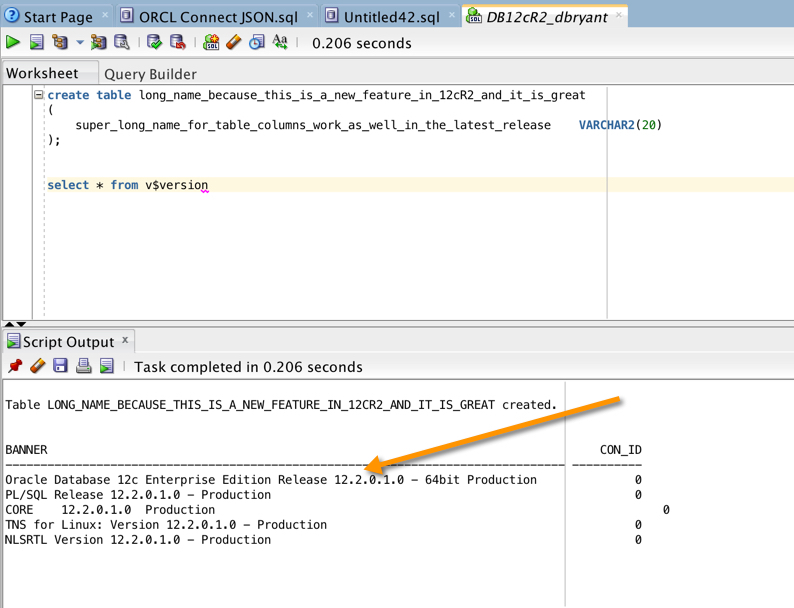 Oracle Database 12cR2 Introduces 128 byte Identifiers. If only this were available sooner … like 6 months ago (On-Prem of course). In 12cR2, the new Identifier length limit is now 128 bytes. The 30 character limit on object names made it a pain for migrations from other databases without this limitation. 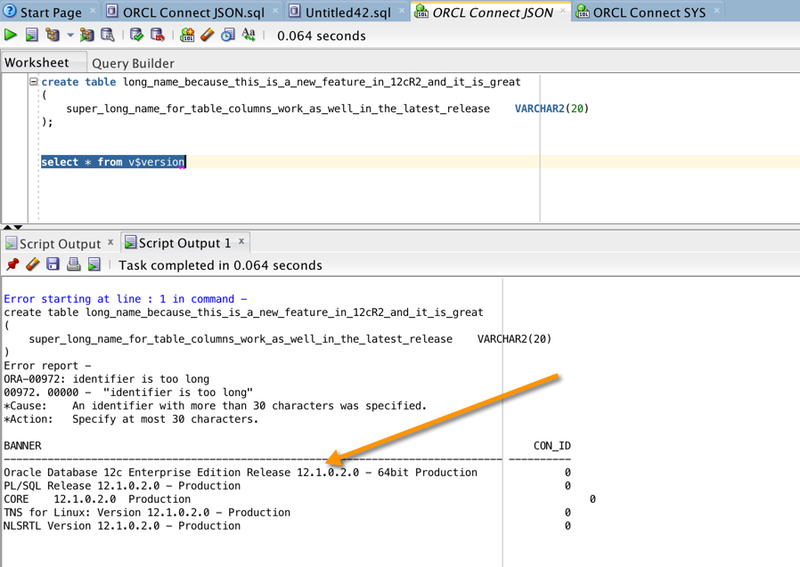 Finally we are now able to some direct mappings when migrating from databases such as IBM’s DB2 to Oracle for example. Now I wouldn’t recommend going crazy and start using ridiculously long names as you will still need to consider backward compatibility, but if you are migrating from another database engine, this can be quite beneficial.